Celebrate Christmas and Kwanzaa with JOYFUL! from Epcot. D'Vine voices were a very pleasant surprise. I'm not a huge gospel fan but they are a very talented group of performers. I think they did a very good job of making gospel accessible to the Disney theme park masses. They are definately worth checking out! D'Vine Voices are my favorite musical act at Epcot. They all have incredible voices, great energy, and should appeal to just about anyone. I highly recommend taking some time out to see this 25 min show if you are at Epcot in 2009. 'Joyful! A Gospel Celebration of the Season' will perform on the Fountain of Nations Stage from November 25 to December 29 2011. Showtimes are daily at 1:15pm, 2:15pm, 3:15pm and 4:15pm. D'Vine Voices return as the 2001 act for 'Joyful! 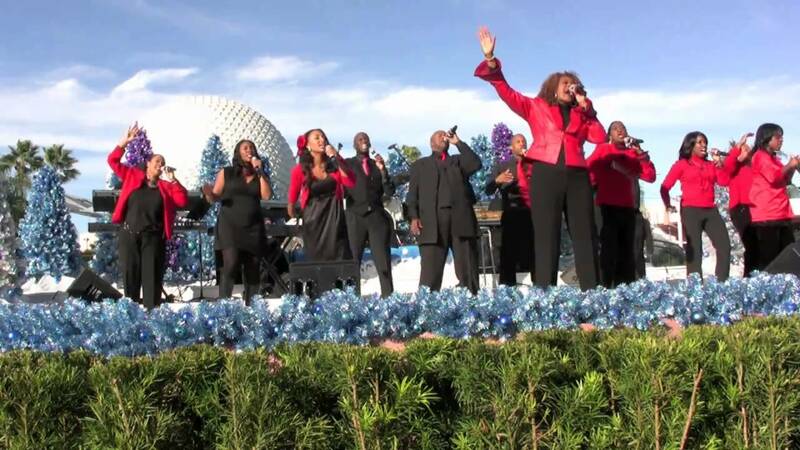 A Gospel Celebration of the Season' at Epcot. The show times are 1:15pm, 2:15pm, 3:15pm, 4:15pm from November 26 to December 26 2011. The show lasts for 25 minutes. D'Vine Voices are the 2009 act for 'Joyful! 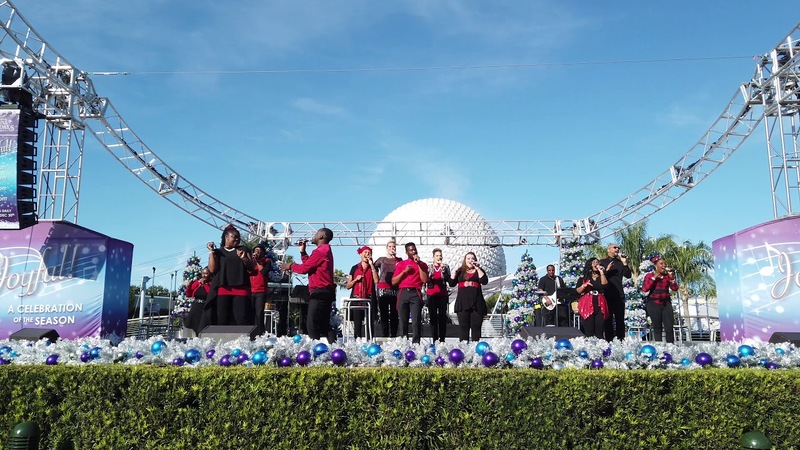 A Gospel Celebration of the Season' at Epcot. The show times are 1:15pm, 2:15pm, 3:15pm, 4:15pm from November 27 to December 26 2009. The show lasts for 25 minutes. Opening day show photos are here. Opening day show video is here.